Yoichi, Hokkaido, Japan on an early, frosted morning in November, 2016. After a 20-year desire to visit Japan, I finally seized the opportunity late last year, and was able to explore several beautiful landscapes during my trip. The end of my adventure brought me to Hokkaido, the northern most island of Japan. 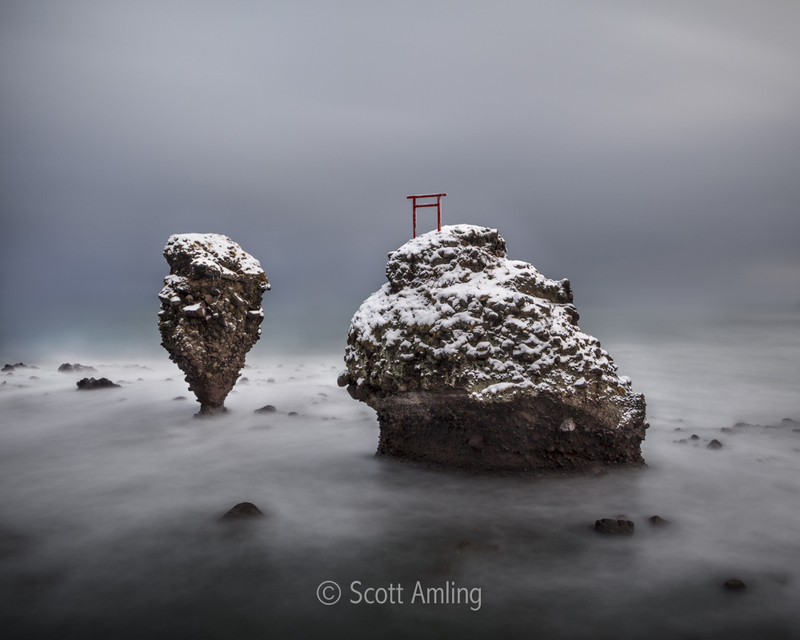 This image was captured near Yoichi, Hokkaido, a fishing town on the Sea of Japan. Typically known for its surf and kayaking in the spring months, Yoichi greeted me with frozen conditions as winter was approaching the island coast early. These conditions make adventuring the beaches a bit difficult, especially during the early morning before sunrise. To get this shot, I was up at 4 AM and got picked up at 5 AM on the way to Yoichi to catch the 6:13 AM sunrise on the coast. The stormy skies provided the subtle blues and greens which danced perfectly with the reflection of the sea and really set the tone of this moment.